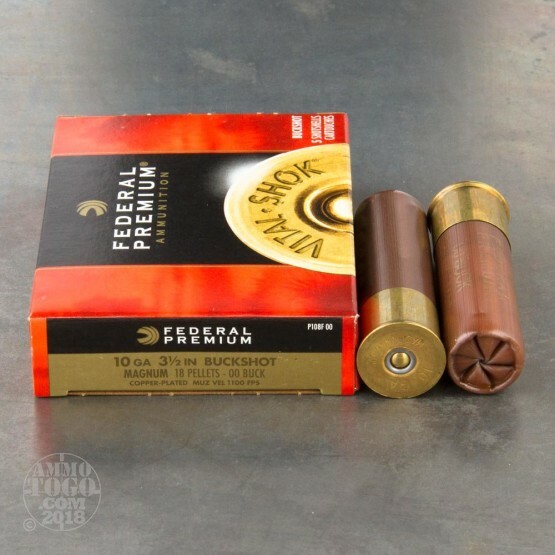 Federal Premium has been producing some of America's favorite ammunition for nearly a century. Proudly made in the USA, Federal’s headquarters are located in Anoka, Minnesota. 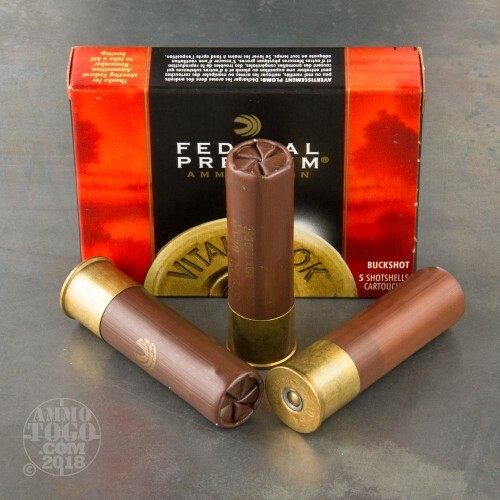 Designed to deliver powerful terminal performance necessary for humane hunting, Federal’s Vital-Shok is top-of-the-line ammo suitable for bringing down medium size game like whitetails, hogs, and coyotes. These loads are also well-suited for home defense. 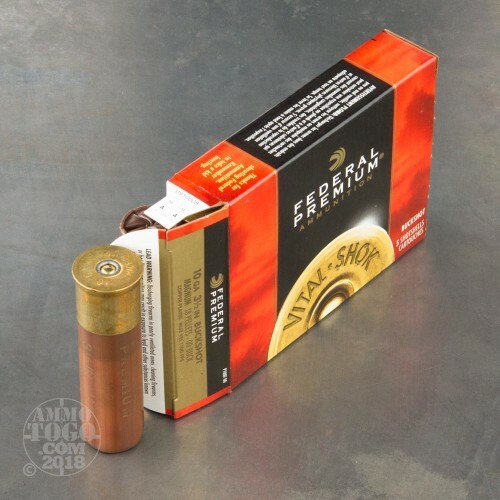 Each of these factory fresh 3 ½ inch magnum shotgun shells is loaded with 18 pellets of 00 buckshot. 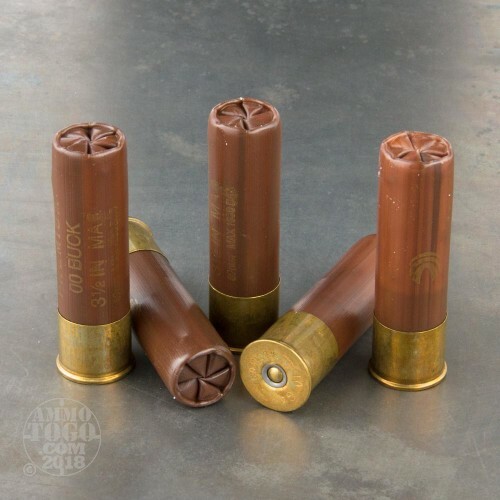 Leaving the muzzle at a velocity of 1100 feet per second, these pellets are copper plated to resist deformity in the barrel and offer deep target penetration. These 10 gauge loads also feature Federal's Triple Plus wad technology and patented buffered spiral stacking process. If you’re looking for dense shot patterns and powerful terminal energy transfer, Federal Premium’s patented features really deliver.